Sweet like cotton candy, warm and delightful like maple syrup, funny like little girls giggling over boys. Those are things that come to my mind when I think of Lisa Jordan. Lisa’s blog is one of the first one’s I found when I came into the blogosphere and Happily Ever After is a great title and fits her perfectly. Heart, home and faith have always been important to Lisa Jordan, so writing stories that feature both comes naturally to her. 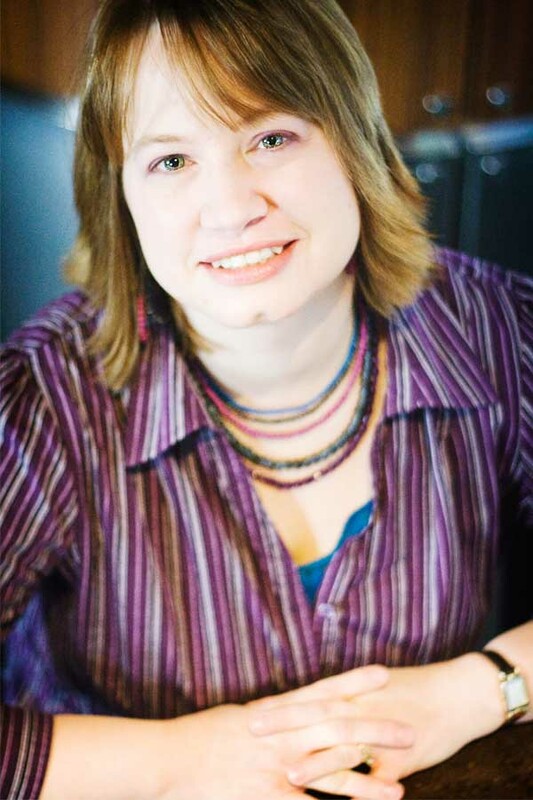 She has been writing contemporary Christian romance for more than a decade. 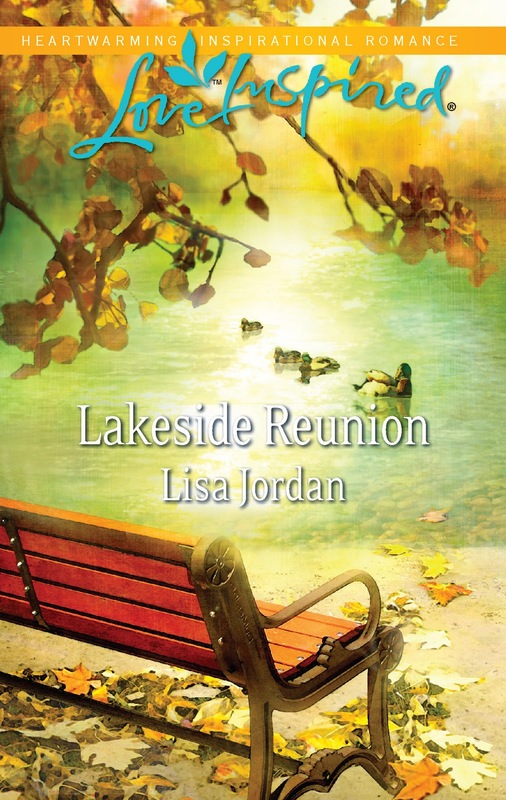 Her debut novel, Lakeside Reunion, released in November by Love Inspired. Her second novel, Lakeside Family, will be released in August 2012 by Love Inspired. Happily married for twenty-two years, Lisa and her husband have two young adult sons. When she isn’t writing or caring for children in her in-home childcare business, Lisa enjoys family time, romantic comedies, good books, crafting with friends and feeding her NCIS addiction. Visit her at www.lisajordanbooks.com to learn more about her writing. JP: Because Lisa was so intriguing to me, and fun and helpful and we have a few things in common, like NCIS and working in the childcare industry, I had to buy this book. When did you get the writer’s bug? May I say, I’m so very glad you did! LJ: After reading Danielle Steel’s The Promise when I was 16—I wanted to give readers the same heart-sighing happily ever after. JP: Mission Accomplished, my friend. Mission Accomplished. Tell us one favorite line from Lakeside Reunion and tell us why? LJ: I don’t want to spoil why Stephen says that, but to me, this snippet shows Stephen as an alpha male who knows what he wants. He respects Lindsey and does his best to honor her wishes, but sometimes he just wanted to sweep her off her feet and leave her breathless. And he’s not going to apologize for doing it. JP:I know why! I know why! And I happened to have loved this snippet of dialogue. There were so many others I loved as well. So tell me, do you listen to music while you write? I always ask this because I must have music when writing and I think everyone else should too, ha! LJ: Yes, I listen to music while writing. I subscribe to Pandora so I listen to different stations while writing certain scenes. The mood of the music helps pull me deeper into the scene. JP: I knew I loved you for so many reasons! Yes! I’ma Pandora fan. Ya’ll need the Levi Kreis station. Awe-Some! Tell everyone why you write romance? LJ: I’m a happily ever after girl who believes in true love. JP: That pretty much nails it! And I’m a fan of happy ever afters and true love too. But with love comes pain. Was there a scene you found difficult to write in Lakeside reunion? Why? LJ: Several scenes were challenging to write because they forced me to tap into the inner core of my emotions. When my characters cried, I cried. I had to force myself to go to that place and feel the same sense of heartbreak. Pain hurts for a reason, which is why so many of us keep it buried. But it can be freeing too. JP: So true, Lisa. I know you became your characters because it showed in your wonderful writing. I’ll tell you a little secret…I cried when they cried too. I laughed a lot as well. Okay, the violins have stopped, so moving on. Christmas is coming! What do you think your main characters will be doing for Christmas? What about you? Do you have a holiday tradition? LJ: By Christmas, Stephen and Lindsey will be newlyweds and celebrating with their families. I’m all about family, so my Christmas will be spent surrounded by those I love. We have several little quirky traditions such as I always buy them socks and underwear and wrap them up. On Christmas Eve, our boys are allowed to open one gift. When our youngest son was very little (4 or 5), he opened his one gift on Christmas Eve to find underwear, and he exclaimed, “Unnerwear? No fair!” So every year, when they open socks and “unnerwear,” we all say, “Unnerwear? No fair.” Silly, yes, but it always makes us smile. JP: LOL! I love that. “unnerwear, not fair” Christmas at your house sounds like lots of good fun and many laughs! A picture perfect holiday. Speaking of pictures, do you hunt down any of your characters from the internet? Care to share what your hero and heroine look like with us? Or would you rather leave it to the readers’ imaginations? LJ: I always use pictures of actors, actresses, or models so I have a visual of my characters as I write. When I use an actor or model, I’m going by their physical aspects only—not their personality type or what I read online about them…yes, I’m shallow and read People.com. JP: I think some of the best story ideas come from People.com What? It’s research and Lisa will vouch for it, won’t you LJ? See! Neener neener neener! Okay, who is Lindsey and Stephen. Show us! Must know! For Lindsey, I pictured her as Charleze Theron. For Stephen, I used Australian model Ian Lawless as his visual character. JP: Um, yes, indeed! I can see that. Completely. You wrote them well. Okay,I’m so playing out a particular scene from your book in my head with these guys. I may have to go back and read it again, even though I did see them a lot like this. What would your characters say about you if they had the chance? LJ: My characters would say I have grasshopper syndrome—my thoughts bounce all over the place. I can be thinking about a scene, but something in that scene could trigger something I need to put on my grocery list. While I’m thinking about my grocery list, I’ll go downstairs to the freezer in the basement to check the status of something, but when I get there I may be distracted by laundry or see something in my craft nook. If you’ve read Laura Numeroff’s books—If You Give a Mouse a Cookie, If You Give a Moose a Muffin, etc—then welcome to my brain. When I do need to be focused, I do stay on task. JP: That’s hilarious. I usually just wander into a room and instead of getting distracted, I can’t remember why I’m in there. But in all seriousness (I was serious about doing that btw),what would you like readers to take away most from your debut novel? LJ: God loves us unconditionally and offers second, third, fourth chances if we draw near to Him with a heart begging forgiveness and accept His free gift of grace. JP: Amen! And they will. A beautiful story of grace and forgiveness! What can readers expect from you in the future? Are you continuing the series? Please say “yes”! LJ: Lakeside Family, my second novel, which features Josie, Lindsey’s step-sister, will be released in August 2012. I’m writing my third book in the series, which I’ve titled Lakeside Promises. I love Shelby Lake and have a whole series planned for the different characters. JP: Told you it was one to grab! Lisa is doing a something really cool with the launch of her book. Tell them about your creative idea, Lisa! LJ: I’m holding a scavenger hunt to promote my Lakeside Reunion release. Plus, blog commenters on my blog hop will be put in a drawing for fun prizes—breakfast basket, Love Inspired Authors basket, autographed copies of Lakeside Reunion. Visit my LakesideReunion Contest page for more information. 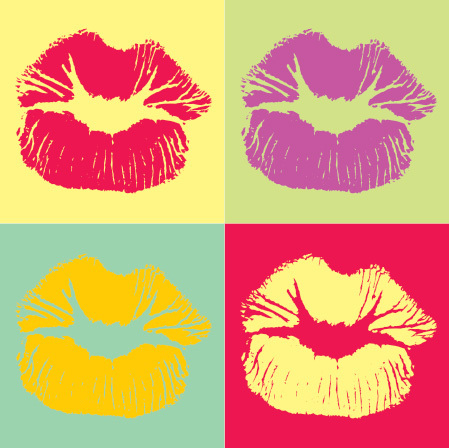 The token for this blog is a kiss. JP: Thanks for coming by today, Lisa. Before you go would you like to ask everyone a question? They are the besto at commenting and making you feel welcome, aren’t you, everyone? See! In Lakeside Reunion, Lindsey needs to let go of a fear to have her second chance at love. What have you done or what do you need to do to release a fear in order to follow your heart (not necessarily romantically…could be a heart’s desire)? Lisa’s website, email, facebook, twitter, and My Book Therapy! Yaaaayyy, I love Lisa Jordan! And Lakeside Reunion. Awesome interview, LJ and Jess. I just came from Beth Vogt's site where she quotes Dave Ramsey, and I must say it's the quote that is sticking with me today. It's about not being afraid to make a bad decision, and after getting knocked down, get up and make another decision. My hope is that eventually, I'll make the right decision and let go of those fears. A right desision in the end is worth a few bad ones along the way. Picked up my copy of LR at Walmart last week. Yahoo!! For me it's the fear of failure. After this nano, I'll be within several thousand words of finishing my first book. A dream that I have had since childhood. I'm 31 years old, why haven't I written a complete book yet? Because I was always afraid of failing, afraid that it wouldn't be "good enough". I'm realizing that anything worth doing, is worth doing poorly at first. I didn't learn to walk or read in one day. It took practice. I now see writing as the same. I love your image that comes to mind when thinking of Lisa's books! And I really do enjoy seeing pictures of writer's characters. It's neat to see how they picture them in their minds. Wow, I didnt know! Beautiful cover for Lisa! I already have this book on my to read list. So fun following Lisa around the blogosphere … and finding her here, Jessica! What a great interview, it reads just like a conversation. And I'm glad you both listen to music when you write because I do too. And now I need to go check out Levi Kreis on Pandora. Great interview! I struggle a lot with a fear of failure and rejection. When I worked as a newspaper reporter, it caused me to procrastinate about calling people I needed to interview for features – it seems silly now, but it really happened! I had to get past that fear every time I picked up the phone! Wonderful interview! I loved reading that she will be writing more books based on this one! Go Lisa! !